Biocatalysis, which was an area of least concern during the past years, has now a remarkable space in the field of chemistry. Biotransformation is the process through which the functional groups of organic compounds are modified by living cells to a chemically different product. The process explores the specific properties of biological catalysts, which include stereospecificity and region specificity and their capability to withstand reactions at no extreme temperatures and pH values. It may involve the use of plant cells, animal cells or microbial cells or purified enzymes as catalysts to bring about specified transformations of complex substrates. Biotransformation enzymes help to produce “nature-like” biodegradable compounds, and are gaining importance in this aspect. This chapter focuses on biotransformation enzymes, which catalyse highly reaction-specific and stereo-specific reactions to synthesize compounds that cannot be produced by chemical means. Moreover, these enzymes help meet the increasing demand of society for eco-friendly compounds by producing the bulk of biodegradable ‘green’ products. 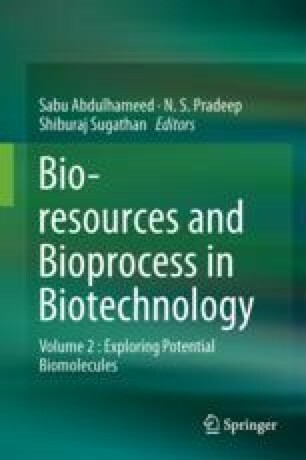 This chapter discusses the recent advances and applications in biotransformation.